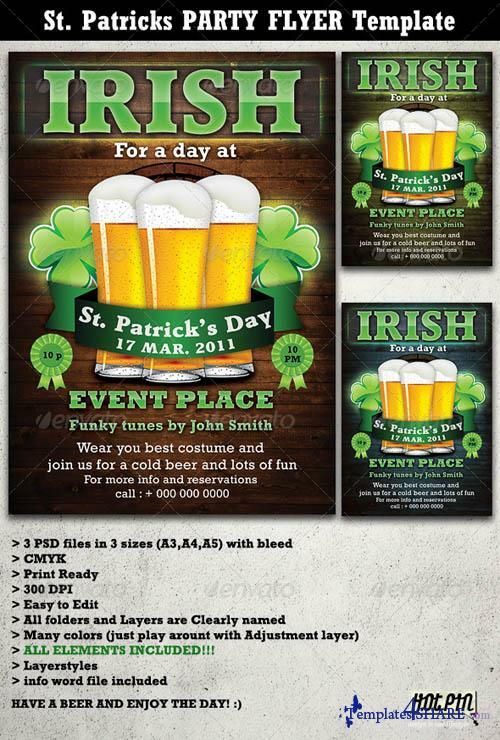 A design that is good for club, bar pub, restaurant, or any other event,party place that day. Many color variations: Just find the hue/saturation adjustment layer and play around with it! Clearly labeled folders and layers.